Furniture Depot is a new addition to the furniture market in Cape Town. The newly established company has introduced an exciting range of furniture primarily meant for use in the office and hospitality industry. Their range is also perfect to turn up the excitement and aesthetic of your home. Aiming to offer the best quality furniture at the most affordable rates the furniture range is designed in-house, their on-site tool room caters to all job needs. Furniture Depot strives to deliver excellent quality furniture to their customers, using a revolutionary new system for its chairs. The foam process lends their chairs a comfortable and luxurious feel at the same time. Furniture Pieces Offered by Furniture Depot: Ranging from basic office furniture to their unique designer collections, Furniture Depot has furniture to meet all your needs. The different furniture pieces offered by Furniture Depot include: 1. Stacker Chairs: Stacker chairs are an ideal choice for places where many people need to be accommodated. 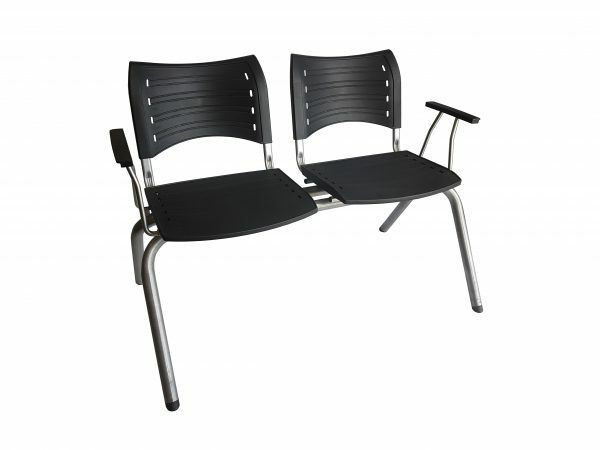 The light-weight and compact chairs can be easily stacked one on top of the other to utilise less space. 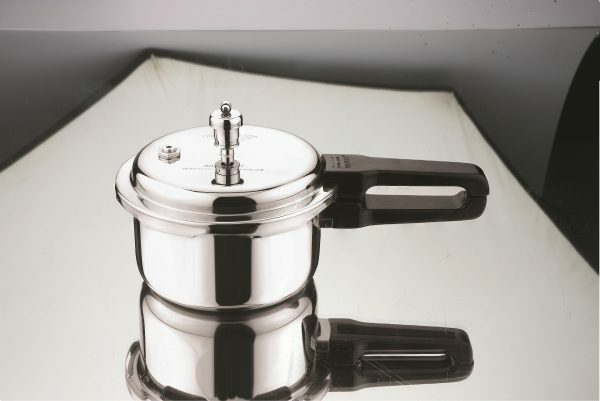 They are widely used in schools, restaurants churches and social occasions. 2. Benches: Furniture Depot stocks modern benches in 2, 3 and 4-seater configurations. The benches are available in a wide range of colours and can enhance the elegance of the office. The benches are available in epoxy coating and chrome finishes. 3. Office Chairs: The basic office chairs from Furniture Depot are suitable for all kinds of office spaces these are carefully designed and manufactured considering the durability and ergonomics. Providing lumbar support, the chairs eliminate potential muscle threats. Various structural designs like low backs, high backs, round, oval etc are available. 4. Office Desks: The collection of desks at Furniture Depot consists of exquisite hairpin desks, combo desks, square tubing desks and flat bar desks. They sell the . . . In a boost for 80 Nelson Mandela Bay families, one of the Eastern Cape’s longest-standing companies has finalised an empowerment deal with the Industrial Development Corporation (IDC) – to the benefit of its 80-strong labour force which now ranks as a shareholder. 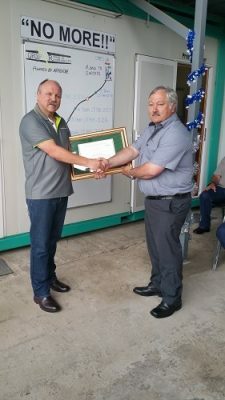 Thanks to the restructuring deal, Rhino Manufacturing – formerly known as Rhino Plastics which was launched 50 years ago – is now a B-BBEE Level 2 company. Since the new deal was signed late last year, business has taken off, making strides in the plastics recycling and manufacturing sector while strengthening its lead in the supply of plastic products to the construction, agricultural and the packaging sector nationally and into Africa. Under the new business structure, the 80 employees at the North End plant – who each support, on average, five dependants – now own a collective 10% stake in Rhino Manufacturing, with acclaimed local entrepreneur Siyabulela Mandla coming on board with a 41% shareholding, and the remainder held by Rhino Plastics, headed by businessman Brian van Niekerk. Mandla, a strong advocate for the upliftment of previously disadvantaged communities, said of the deal: “We have a responsibility to shape and improve the living conditions of our communities, where unemployment and inequality are our biggest challenges. It always inspires me to see business used as a catalyst for change in this regard.” Thirty-seven-year-old Mandla is a former regional SAB Kickstart, Seda Stars Business Competition and National Gazelles SME programme winner. His successful ventures include 469 Carwash & Café, 469 Bar Lounge & Butchery, Patapata Lifestyle, and Kasi Craft Beverages in Motherwell and New Brighton. “Thanks to the new deal, we are now geared to expand the company’s footprint and look into new opportunities in the public sector and into Africa,” said Mandla. “We are also looking at diversifying our product range to include products such as plastic droppers and poles, . . .
Hytec South Africa, a Bosch Rexroth South Africa Group Company, and GS-Hydro, an Italy-based multinational non-welded pipe manufacturer, have entered into a non-exclusive partnership agreement. Effective 01 November 2018, the partnership endorses Hytec South Africa as a sub-Saharan Africa distributor for all GS-Hydro components and piping systems above 42 mm. 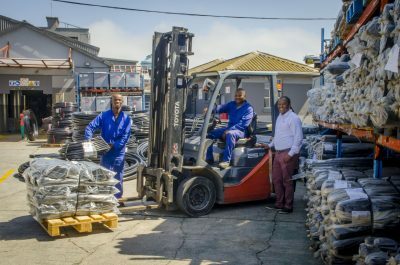 The distributorship increases Hytec South Africa’s product and service capabilities and presents new opportunities for distributing non-welded, leak-free piping systems. 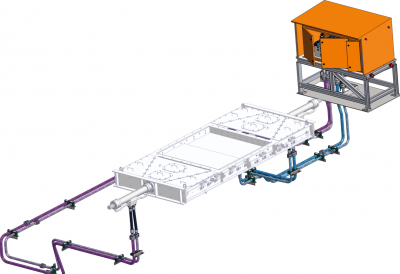 This is especially the case where projects include design and engineering, as GS-Piping Systems’ assemblies can be prefabricated to a high degree prior to installation, which speeds up the installation process and reduces overall costs. Cost savings through the lifetime of the piping systems are gained because there is a lower total installed system cost, a shorter installation time, less flushing time and reduced need for maintenance and repairs. “These benefits lead to fewer production interruptions and much shorter downtime when interruptions do occur,” points out Hytec South Africa Engineering Manager Andre Lindeque. “The GS-Piping System’s flexibility facilitates fast and easy installation which translates to significantly lower installation costs when compared to a welded piping system.” The superior technology used, which provides the high-quality, leak-free piping system, is approved by classification agencies. The environmentally friendly pipes provide consistent quality due to machined and prefabricated assemblies, are suitable for different materials and offer the highest level of cleanliness. “As there is no welding involved in manufacturing these pipes, there is no need for post-weld cleaning or costly weld inspections such as x-raying,” Lindeque explains. All GS-Hydro products have a 12-month warranty, which Hytec South Africa upholds, and is also equipped to handle all maintenance and repairs. Hytec South Africa . . . It is often said that architecture is music frozen in time. But when a building reverberates with the sounds of voices, footfalls of people walking or merely day-to-day activities in such a way that it hinders work performance or impacts on the well-being of employees working in it, serious steps need to be taken to dial down the noise levels. Noise is created when sound energy is transmitted either by impact or by air. In a public or work space where impact sound is often created as a result of footsteps, slamming of doors or dragging of furniture. It can easily be transmitted through the entire building structure and impact all the employees working in a building or sharing a workspace. Other common sources of noise include traffic, weather, plumbing, duct-borne noise or noise entering the building via open windows. 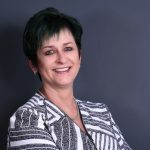 “Noise can have an extremely detrimental effect in the workplace and can even significantly impact an individual’s well-being and hinder work performance,” says Tandy Coleman, CEO of Polyflor SA, specialists in vinyl flooring and wall protection solutions. 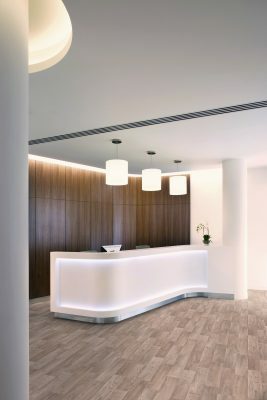 “For this reason, acoustics, sound levels and sound insulation that effectively reduced the noise levels within new and refurbished commercial interiors, are increasingly becoming a primary area of focus for builders, contractors and architects,” she explains. Sound levels and sound insulation values are expressed in decibels (dB). In recent years, more and more countries have begun introducing new legislation aimed at addressing resistance to the passage of sound. In the UK for example, building regulations are in place that stipulate that a suitable floor covering should have a weighted reduction in impact sound pressure level of not less that 17dB when measured in accordance with EN ISO 140-8 and calculated in accordance with EN ISO 717-2. Fortunately, the negative impact sound can greatly be reduced by professional acoustic planning at the outset of a project and with the expert . . . The Southern African Plastic Pipe Manufacturers Association (SAPPMA) has added its voice to a recent warning about substandard high-density polyethylene (HDPE) pipes that do not comply with relevant product standards, issued by the Plastics Pipe Institute, Inc. (PPI) - the major North American plastic pipe trade association with many of its member companies producing resins, pipe, fittings and components. According to Tony Radoszewski, President of PPI, sub-standard pipes have been found in the oil and gas gathering operations of the Permian and Delaware basins in Texas and New Mexico. SAPPMA CEO, Jan Venter, confirms that similar examples exist in South Africa and that this notice extends to other areas where HDPE pipe is widely used, such as potable water, forced main sewers, industrial and mining applications. "These pipelines are not marked with relevant product standard requirements, and may therefore not comply with product standards. Locally, pipes that do not bear the SAPPMA mark carry no assurance of product quality and may not perform as intended for the application," Venter warns. "Pipes that are not in compliance could jeopardize the safety of employees, the public and the environment," Radoszewski warned. He urged that piping products should be inspected upon delivery to ensure they meet the appropriate standards and the operator’s specifications. This is especially critical for projects in demanding oil and gas field operations, and is also important for pipe used in other pressure applications such as water, sewer, industrial, and mining applications. 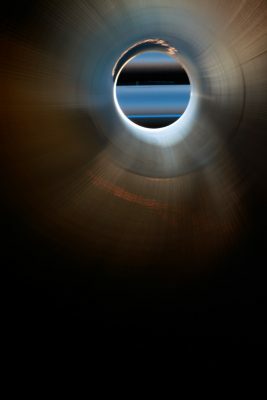 Both SAPPMA and PPI recommend that purchasers review the pipe manufacturer's certification reports along with physical plant inspections or independent third-party validation and testing. "Not all HDPE pipe is created equally. 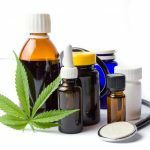 Know what resin is being used in the manufacture of the pipe. Know what company is making the pipe. Know what company is selling the pipe. There is a considerable . . . In the modern mining industry, one will find that most of the industry’s reputable operators have implemented a driven safety strategy. We regularly hear the slogan “one life lost is one life to many” and one will find many occupational safety drives around, all with varying success. A clear success story is Mopani Copper Mines PLC, who has implemented the SAFEMINING plan in 2014. This vigorously driven strategy has not only showed great success across Mopani’s several mines, but it is proving to be a beacon of excellence within the industry. At Mopani Copper Mine’s Kitwe operations there is a clear success story in Group R Mining & Exploration Zambia Ltd, an operating subsidiary of Group R Holdings Ltd of Mauritius. At Group R one will see that they did not only embrace the SAFEMINING drive of Mopani Copper Mines PLC but has made it part of their daily conduct and business DNA. The success of this is evident by Group R not having a single work fatality since inception in 2010, as well as boasting with an enviable track record of working 5 Years without a single lost time injury, this was achieved in late December 2018 at its operations at Mopani’s SOB Shaft in Kitwe, Zambia. “We at Mopani are extremely proud of the achievements of Group R and their unwavering dedication to mine safety. We would like to see this dedication and passion from all our contractors in all our operations” say Mr. Chris Vermeulen of Mopani Copper Mines PLC The management team at Group R’s approach to mine safety is firm to say the least. Daily safety meetings are not seen as a tedious task but forms an integral part of their planning, policy making and operational systems. If safety is not front of mind in everything you do and plan it will soon fall to the wayside, is the Group R belief. “Our client, Mopani, introduced and demanded that we work according to their international best standards for safety. As a contractor we had the choice to merely tick the boxes and show . . . While the South African economy may be expanding at a snail’s pace, things are starting to look more promising in the local construction industry. A recent media headline, for example, indicated that the tide may be turning for SA construction sector. “The building industry is an exceptionally cyclical one and has shown little or no growth for the past decade,” that’s according to Philip Smerkovitz, Managing Director of thermal imaging, instrumentation and automation specialist, TeleEye SA. “However, there is exceptional value on offer for local and overseas firms seeking an earnings boost from the South African construction industry.” Mr Smerkovitz adds that TeleEye SA has seen significant interest expressed of late in FLIR thermal imaging cameras that monitor the condition and performance of cement kilns. “Because it’s impossible to imagine the building industry without cement, this local interest in world-leading thermal imaging systems may point to a revival of the South African construction sector,” explained Mr Smerkovitz. Fixed thermal imaging cameras developed by FLIR Systems and distributed by TeleEye SA allow for non-contact temperature monitoring of cement production facilities at a reasonable cost and with due consideration for worker safety. Alarms can be triggered by selecting areas within cement kilns for maximum or minimum temperature thresholds or changes in temperature. Multiple areas can be monitored simultaneously for critical changes. Cement production is a complex process of blending limestone with other components in large rotary furnaces. These furnaces are critical production assets in any cement production plant. By heating the kiln contents to an astonishing 1 500 degrees Celsius, there is always a risk of overheating. Fortunately, thermal imaging cameras from FLIR Systems are available to monitor the intricate heating process within cement kilns on a round-the-clock basis. “Cement production operators are able to prevent . . .